The rapid development of wireless power transfer (WPT) in mobile devices and Internet of Things (IoT) Technologies inspires the research interest to support the wireless power charging capability on digital living equipment to manage energy sources effectively. As energy consumption in our day to day life is steadily increases the demand, the trend for energy harvesting technology also grows and there is an increasing number of an independent IoT based microgrid facility is built using solar panels in smart home. The digital living things are usually placed in a narrow space with microgrid facility. However, The IoT connected digital living is placed independently in a large space. The WPT will give interference to electrical equipments and electric utility meter in microgrid facility. 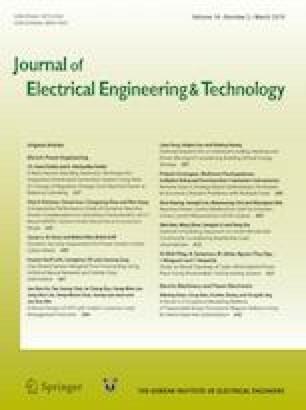 This paper is focused on analyzing the coexistence between WPT and electric utility meter in an IoT based smart home microgrid facility. The separation distance between WPT and electric utility meter and the allowable numbers of WPT are suggested in order to protect electric utility meter from interference of WPT on the basis of interference scenario. The Monte Carlo method is used for the impact analysis of WPT supporting digital living things on energy utility meter built-in with Near Field Communication. This research was supported by the Ministry of Science and ICT (MSIT), Korea, under the Information Technology Research Center (ITRC) support program (IITP-2018-2016-0-00311) supervised by the Institute for Information & communications Technology Promotion (IITP).